This is sort of a personal playground with some photography, mailing lists I run for one reason or another, and the like. I do get a phenomenal number of hits from people who "just wanted to see what would happen if I typed in jabberwocky...." Seems I picked a good domain name. 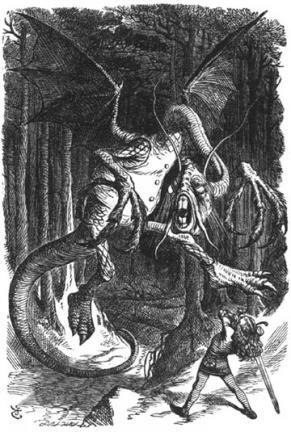 What on earth is a Jabberwocky? Jabberwockies in print, song, and stranger places. Obviously, I didn't write any of the Lewis Carroll stuff, and it's out of copyright besides. Nyeah.